For the background, I attempted a vertical/centre gradient, and holy crap did that not work. My nails do not C-curve downwards like normal people--they ski-slope upwards instead. I could not get a nice straight line.. it would be all fat at the tips and then barely touching in middle... meh. So I gave up on the idea of a smooth gradient and instead just sponged randomly to make a two-toned blue background. They're both Soulstice Spa polishes--the dark blue is Monterey and the lighter is Kona. And then, to add to the blue-ness and cover up my gradient-failure, I added a coat of Confetti Ice Ice Baby. 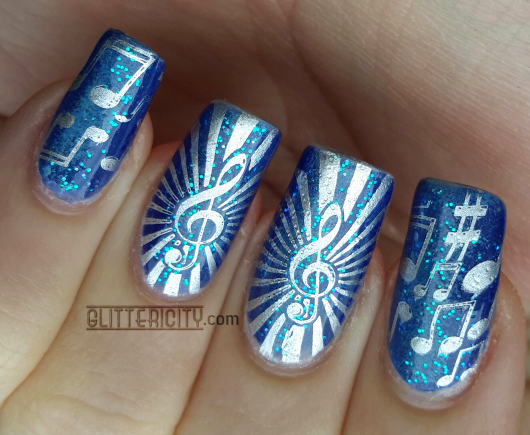 SUCH a great electric-blue glitter! Then, of course, the magic! 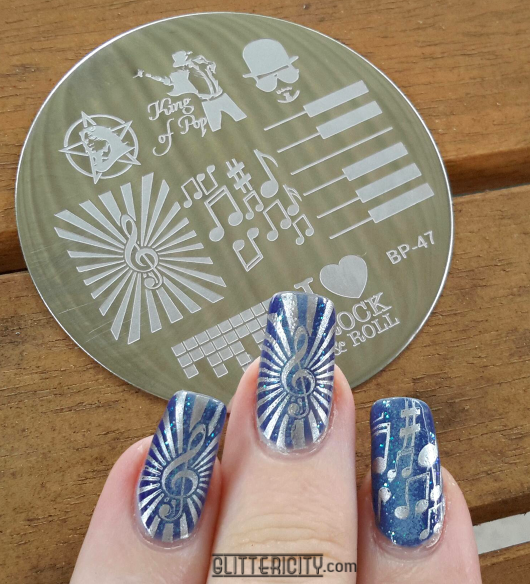 I stamped with plate BP-47 using Sally Hansen Insta-Dri Silver Sweep. 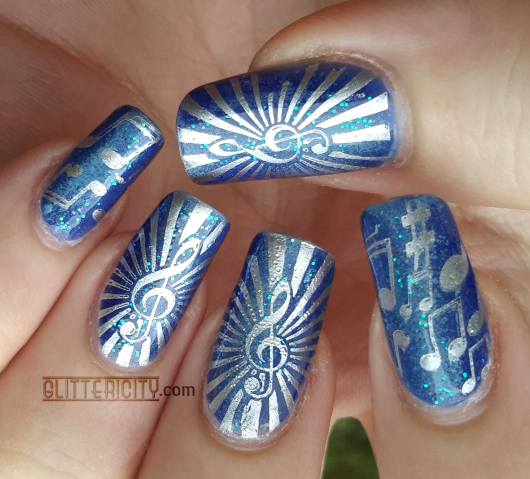 I love this whole plate, but the treble clef and music notes really jumped out at me as nice for this backdrop. And then, of course, topcoated with Seche Vite.